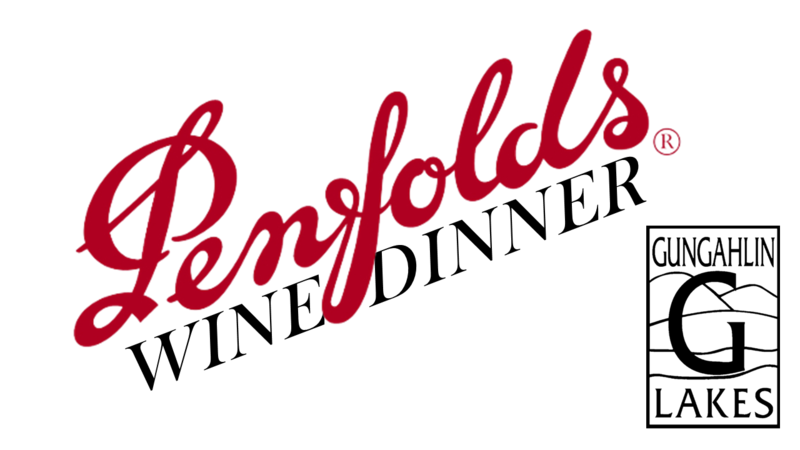 Gungahlin Lakes is proud to be presenting our upcoming Wine Dinner in collaboration with Penfolds, with canapés and a four-course menu crafted by our Executive Chef, Peter Robinson, paired with a selection of Penfolds fine wines. View the menu below. 18+ only. This ticket type is available to all. If you are a current Ainslie Group Member, please purchase 'Member Ticket'. 18+ only. NOTE: You are only able to purchase 'Member Tickets' if you or at least one member of your booking party has a current Ainslie Group Membership. By purchasing this ticket type, Non-Members who book incorrectly agree to be charged an additional $20 surcharge on the event date. 18+ only. Members looking to secure a whole table of 10 can use this option to save $50! 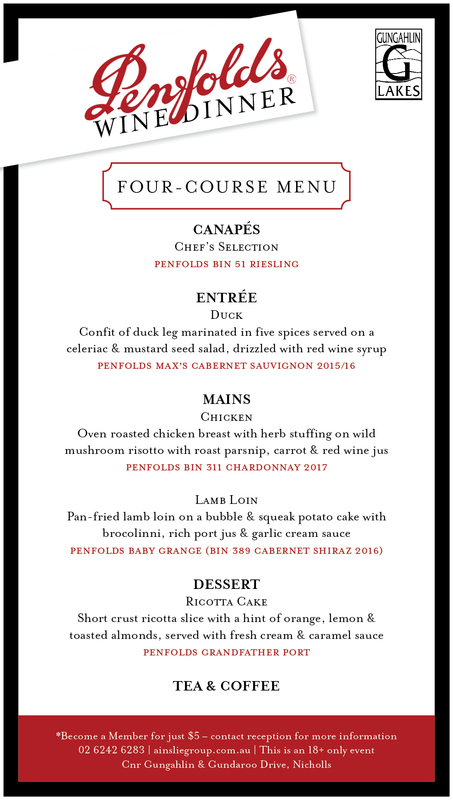 ​Please note, attendees receive both main courses, Chicken & Lamb Loin. This is an 18+ only event, it is an offence to supply liquor to a person under the age of 18. Penalties apply. Your purchase was successful and your tickets will be emailed to the address provided. If you have any questions regarding dietary requirements, a joint booking, or anything else, please contact membership@ainsliegroup.com.au at least a week prior to the event. We look forward to seeing you on Friday 10th May 2019!